Open Road Films has released nine character posters for Triple 9, the gritty, action-packed crime thriller starring Woody Harrelson and Kate Winslet from acclaimed director John HillcoatCheck out the Triple 9 posters in The Gallery. The thriller involves a group of dirty cops blackmailed by the Russian mob into performing a seemingly impossible heist that involves the murder of a rookie police officer. 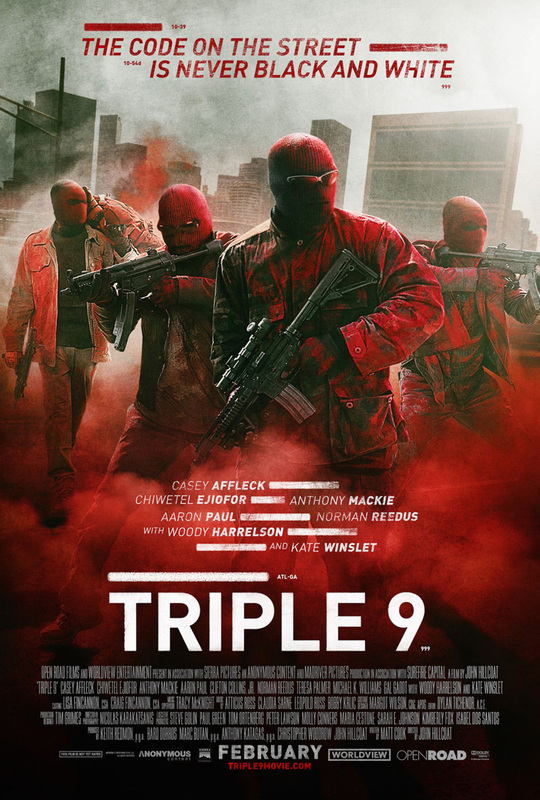 Triple 9, Movies, Poster, Reveal, Trailers, Gal Gadot, Aaron Paul, Anthony Mackie, Norman Reedus, Casey Affleck, Kate Winslet, Woody Harrelson, Upcoming Movie Discussions.